With PSP Sales Like These In Japan, Who Needs The NGP? 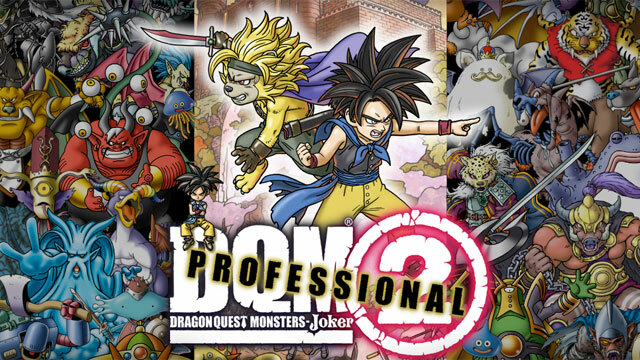 Yes, yes, it was a Nintendo DS game that managed to outsell everything else in Japan this week - Dragon Quest Monsters Joker 2 Professional - but it was the continued strength of PSP hardware in Japan that seemed most impressive. Square Enix's latest Dragon Quest spin-off managed to reclaim the top spot this week against new competition like Patapon 3 and El Shaddai: Ascension of the Metatron. Last week's champ, the Pikachu teaches typing Nintendo DS game Battle & Get! Pokemon Typing DS had a short reign at #1, slipping to fifth in its second week. The Media Create top was dominated by PSP software and represented solely on the console side by two PlayStation 3 games. Not the most exciting of software release weeks, unless you're the maker of Saigo no Yakusoku no Monogatari. Anyway! Here are the top 20 games in Japan for the week of April 25 to May 1. On the hardware front, this was a big week for the PlayStation Portable. Sony's six year old platform more than doubled sales of its closest competitor, the Nintendo 3DS, last week. It might make one wonder if Sony should consider launching the PSP's successor, the NGP, outside of Japan first to invigorate handheld sales elsewhere. Maybe not. On the console side, the PlayStation 3 sold twice what the Wii did and the Wii sold more than twice what the Xbox 360 did. Here are the raw numbers. Uh... I need the NGP. rubbish article. psp is a 6 or 7 year old piece of hardware in japan. It is ageing rapidly and mobile platforms are offering better graphics. On the other hand nintendo sells the 3ds with 11 year old oudated near ps2 graphics with some sort of gimmick called 3d. Yet the ps2 still provides better graphics. psp is selling well on japan due to strong software titles that the japanese like. I for one is eagerly waiting for the ngp. I do have a 3ds and its fun but ngp will provide an indepth gaming experience like uncharted and modern warefare which 3ds will never be able provide. Im sorry if I have offended any nintendo fan but its clear and simple, sony psp2 (ngp) is better than the 3ds. in terms of graphics and gameplay. I'm sorry but better graphics does not make a system better than the other. Also Why the hell would I want to play COD on psp? Its suppose to be portable not a console. I'm not a Nintendo fanboy. It just that I think its stupid that people like you think just because its got better FPS games/Graphics make its better.